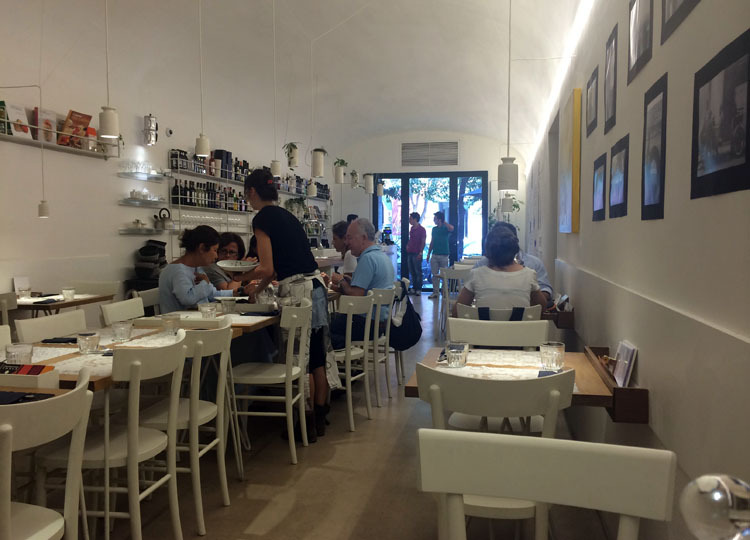 A chance discovery of a smart, stylish and very welcoming cafe just two minutes from the National Archaeological Museum, on Via S Maria di Constantinopoli. Has a clever system of selling by weight – you take a plate and pile with extremely delicious salads, and/or hot dishes. Everything is priced the same and they weigh your plate. 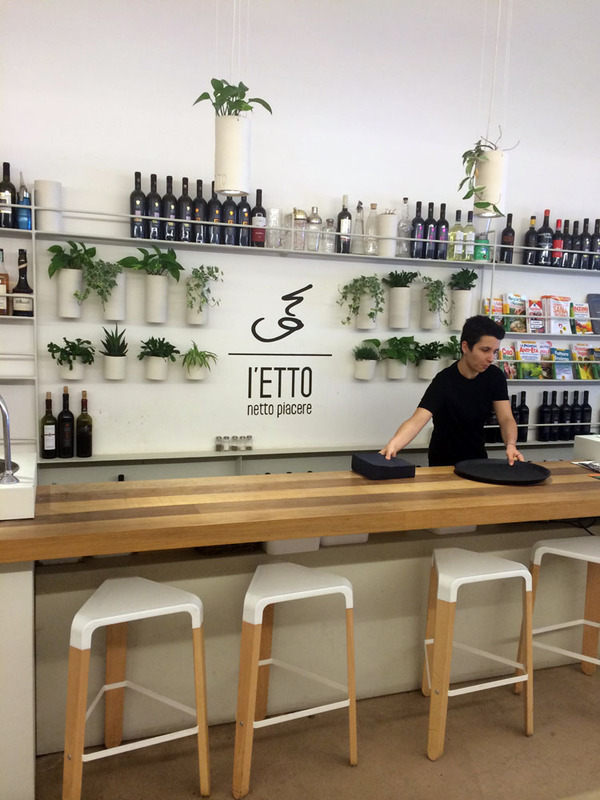 Good wines by the glass – both local and more well known (Montepulciano and Tuscany) plus some local craft beers. Chilled, filtered water supplied in a variety of glass decanters. Great interior design – check out the loos. Inside or outside seating. 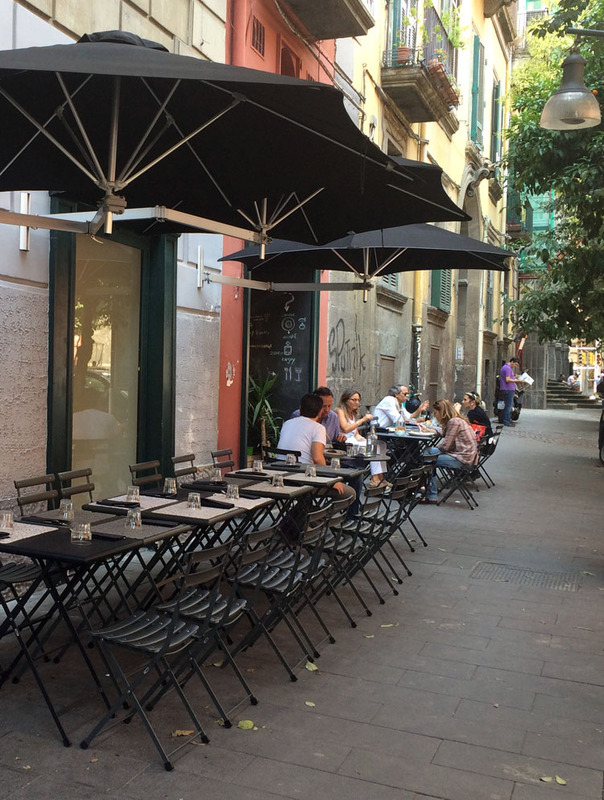 Opened in October 2013, based on a Brazilian concept, they have another branch in the business district of Naples. For an Italian review and more images, click here.